"Very courteous and accommodating staff." "Very professional, clean, knowledgeable, and hospitable..."
"Dr. Milanes is very professional and funny..."
Video Visits from Chiron Health on Vimeo. "The Exit Drug documentary, created by Weedmaps, investigates how cannabis could play a major role in ending the opioid crisis." Dr. Milanes is featured in "The Exit Drug" Documentary. 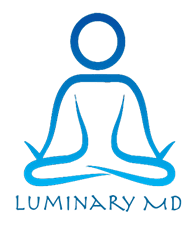 "I Tried EMSculpt at Luminary MD and This Is What I Thought"
Dr. Milanes was featured in a blog post on December 14, 2018 by Katelynn Ansari, a model turned blogger. In the blog, she discusses her experience trying EMSculpt at Luminary MD. If you are finding it difficult getting rid of unwanted body fat, you might want to try out non-surgical body sculpting, such as the EMSculpt, from BTL Industries.